The Center of Living Light is a group of more than 75 Reiki Masters and hundreds of Practitioners. We are often asked "Where is the Center of Living Light?" and on a metaphysical level, the answer is in the hearts and minds of our community members. This page captures the diversity of our community from the Board of Directors to the Reiki Masters and students who are the cornerstone of our community. Keep checking back as we post additional information about our community. Lenn Savoca Ditman, Board President has been involved with Living Light Reiki since 1998. He became a Living Light Traditional Reiki Master in 2000, as well as an Interfaith Minister with the Center of Living Light. Lenn joined the Center of Living Light Board of Directors in 2001, and serves as Chairperson of the Traditions and Guidelines Committee. He assumed his duties as President in Fall of 2005. In 2001, Lenn co-founded the Living Light Reiki Community Circle at Roosevelt Hospital in New York City which he still hosts on alternating Thursday nights and teaches Reiki on a monthly basis with his sister, Reiki Master Randi Lynn Ditman-Ibrahim. Together with Randi and Reiki Master Carmen Lariño, Lenn facilitated his very first Living Light Reiki Master Candidate class in 2003-04. They recently elevated four new Reiki Masters and have begun Teaching their third Reiki Master Candidate program with seven students. Lenn received his Bachelor of Science in Computer Science from the State University of New York at Albany in 1988, and now employs his computer expertise in support of the arts in New York State. Lenn is also a Meisner Technique trained actor, and has appeared in several Off-Off Broadway productions and independent films. In June 2000, Lenn met his wife Beth, and took her to a Reiki Circle on their first date. In April 2008 they welcomed their son Paul into their lives. Lenn sincerely believes that there are no coincidences. Ascension Hernandez, Board Vice President is a Traditional Reiki Master and Interfaith Minister with the Center of Living Light. After many years of searching different Mind Body Disciplines and Energy Work Techniques, in 1995 she took her first Reiki class and at that moment she knew Reiki was her true calling. In 2000 she received her Reiki Master Attunement from Dr. Robin Lechner, our founder. She assumed her position on the Board in the Spring of 2010. Ascension is also trained in the fields of Clinical Hypnotherapy, Silva Method, Landmark Education Leadership Programs and the Therapeutic use of essential oils. Professionally Ascension has over 15 years of experience working in the Medical Field. Presently she works at leading NYC Hospital in the capacity of Surgical Pathology Laboratory Manager. As a Health Care Professional and Reiki Master, she believes in the integration of Medical Science and Holistic Complementary Modalities to bring healing , prevent disease and to create an overall balance of mind, body and spirit. She was widowed young and raised her son (now 28) as a single mom in New York City. She now shares her life with partner Tony, a mind/body/spirit practitioner who teaches metaphysics and is a motivational speaker. In 2006 she associated with Dr. Olivia Lermand, MD at her Integrative GYN practice. There, she leads a weekly circle and also works with private clients and teaches Reiki, assisting her clients and students in their own healing process. She recently began teaching the Reiki Master program and will complete her first class in the Spring 2007. Beth Savoca-Ditman, Board Secretary and Manger has been involved in the Center of Living Light since 2000, and was elevated to Reiki Master in March 2006. Center Founder Dr. Robin Lechner tapped Beth to help with the Center’s marketing and administrative duties in 2004. In Spring of ’05, she successfully managed the Center’s first Tee Shirt Fund Raising Drive. She has hosted numerous Reiki circles, and coordinated several public awareness events in Healthcare and Educational settings. She has partnered with Reiki Master Nicole Bernholc to co-host the SUNY Stonybrook weekly circle. She is currently working on developing a Clinical Research project in partnership with Rivington House to document the effects of Reiki on HIV/AIDS patients. She chose to become a Reiki Master to help her achieve a deeper connection with the Reiki community she serves. She is also working on becoming an Interfaith Minister with the Center of Living Light in Fall of 2007. She is a professional with expertise in not-for-profit organizations. She designed the organization’s web site, which launched in January 2005, and has helped more than 19,000 people on the internet learn about Reiki and find classes and circles. She also founded Brava Management and Consulting Services, which specializes in helping small businesses and non profits establish and maintain a presence on the internet. Reiki entered Beth’s life unexpectedly in 2000 as part of a blind date to a Reiki Circle with the man who is now her husband, Reiki Master Lenn Savoca-Ditman. Ten years later, she lives on Long Island with him and their beautiful son Paul. Nicole Bernholc is one of the original members of the Center of Living Light Community. She began practicing Reiki in the 1990's and became a Reiki Master in 1996. She is also an Interfaith Minister with the Center of Living Light. Despite having an active son, Max, Nicole has a full Reiki calendar. This includes a lunchtime workplace Circle at Brookhaven National Labs, a weekly circle at State University of NY Stony Brook, private sessions, teaching, health fairs and seminars. Nicole found Reiki through her work as a massage therapist, but her decision to become a Reiki Master was informed by the challenges she faced becoming a mother. Discovering she was pregnant was the start of a very special journey. She decided to study to become a Reiki Master in order to provide her the space and growth opportunity and prepare for her son. Little did she know how much she and others around her would benefit from it. In addition to being a Reiki Master, Nicole is NY State Licensed Massage Therapist who has studied the healing arts since the 1990s. She is a traditional Reiki Master. Besides traditional European and Swedish Massage techniques and Reiki, she is trained in the use of Oriental Acupressure (Amma), Trigger Point release techniques and CranioSacral Therapy in addition to other healing modalities. She utilizes all these as part of her treatments. She is a member of the National Association of Body Workers. Professionally, Nicole works as a Certified Industrial Hygienist with 30 years experience in the field of environmental and occupational safety and health exposures. This involves helping people work with their processes in a safe manner and covers areas including ergonomics, indoor air quality, and laboratory safety. She also continues her private massage therapy practice. Leonor was elevated as a Reiki Master in March of 2006. She first heard of Reiki a few of years ago when, wandering the streets of New York, someone offered her a pamphlet about Reiki. The message read “You will learn how to help yourself and others”. Because she was having many challenges at that time, it was like music her ears and lights to her soul. It was just what she was looking for. She attended several circles in New York City and Florida, then found the Center of Living Light Circle in New York where she received several mini sessions of Reiki followed later by received a full session with Reiki Master Carmen Lariño. Feeling renewed, energized, and aware of the changes Reiki had done so far to her life, she knew that Reiki would stay with her forever. Professionally, Leonor has worked for several organizations. Being bilingual, for the past twenty years she has always assisted employees who were unable to express themselves in English. She learned to have open ears and to read between lines with unconditional love and no judgment. Her special love for handicapped and elderly persons make her even more dedicated to them. Her present position as a support staff for an insurance company allows her to be in touch with people of all nations and to be more aware of peoples needs. She hopes to use these skills to teach Reiki in Spanish not only here in the US but in her native Argentina. In October of 2006, she went home intending to practice only for her family, but much like Madame Takata, she created interest in Living Light Reiki by giving a talk about the Center and Living Light Reiki at the Kennet Center in Armstrong, Santa Fe. When she returned in February 2007, she hosted a Wellness Circle at Inez House (also in Santa Fe). She followed this with private sessions. We are very proud of our new international Reiki ambassador. Leonor is one of our most active volunteers and her practice includes private sessions, Wednesdays Circles and is co-facilitator of the Saturday Clinics at Rivington House. She also attends as many as possible NYC community circles. She will also be ordained as an Interfaith Ministry with the Center of Living Light in the Fall of 2007. Randi’s Living Light Reiki journey began in 1997. She was so personally and profoundly moved by her first experience in the energy that she took her first Reiki Level 1 class immediately thereafter, and was elevated to Reiki Master after completing all levels in the Spring of 1999. Randi is also an Interfaith Minister with the Center of Living Light. She served on the Center's Board of Directors from 2005 through 2010. In 1998 Randi initiated and continues to host the Monday night circle in New York City which is held at Mount Sinai/Beth Israel Medical Center - Philips Ambulatory Care Center. 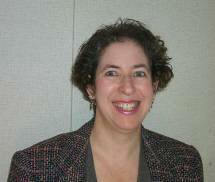 She takes great pride in her 18 years of service to the Center of Living Light Community at Mount Sinai/Beth Israel. She was interviewed on CBS News and Channel 13 for her expertise, dedication and passion for the Reiki energy with Reiki Sister - Reiki Master Carmen Lariño. Randi co-teaches, with great joy, monthly Living Light Reiki certification classes (Reiki 1, 2, AP and Master Levels) with Carmen. Randi is a graduate of the Fashion Institute of Technology in Communications and has an extensive background in Fashion and Entertainment marketing encompassing Public Relations, Advertising, Special Events Coordination, Merchandising, Sales, Retail Management and freelance Copy Writing and Journalism. She is also a Meisner Technique trained actress and a songwriter. Currently, Randi works in Finance. Allison Hecht has been a Living Light Reiki Master since 2001. Alli has partnered with the Somerset School of Massage in NJ to become one of our most experienced teachers. She works hard to bring Reiki to Massage Therapists so that they may incorporate this modality into their practice. She has already elevated five Reiki Masters and countless classes at other levels. Whenever possible, she also hosts circles at the school. Professionally, Alli is a NYS Licensed Massage therapist who specializes in individuals who suffer from cancer and lymphedema. Along with her traditional medical training in the area of the lymphatic system, she incorporates Reiki into every avenue of her life and work. She currently works at the Women’s International Support Environment-The Wise Center. She also holds a Bachelor’s Degree from Rutgers University in Psychology. The combination of these disciplines make her a wonderful teacher and advisor. In addition to a busy teaching schedule, she is currently in the process of getting her Masters in Special Education at Kean University in New Jersey. She is also mommy to two young boys, Jaden-Phoenix and Ty. 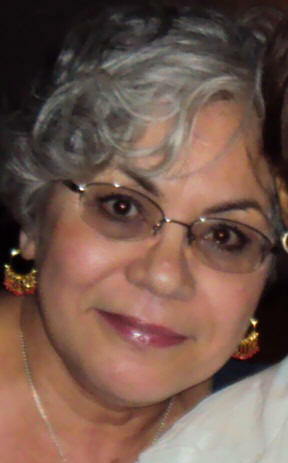 Carmen has been a Reiki Master with the Center of Living Light since March of 2001. She has been on the Reiki path since 1997, acquiring all levels up to her Reiki Master status. She is also a Center of Living Light Interfaith Minister, she was ordained in July, 2001. She served on the Center's Board of Directors from 2005 through 2010. Carmen is one of our busiest Reiki Masters. She has been the Reiki Clinic Administrator at Rivington House, an HIV/AIDS establishment, since she was elevated in 2001. She and her merry band of Reiki practitioners provide treatment for bedridden patients - up to 100 a month. In addition to her duties as clinic administrator, she hosts a weekly Reiki circle at St. Luke's Hospital and a bi-monthly circle at Rivington House. Carmen also teaches classes on a monthly basis and is currently teaching the Reiki Master Candidate Class with fellow board members Lenn and Randi. She is also fluent in Spanish and occasionally teaches Reiki in Spanish. In 2007, she introduced an innovative new training format designed to teach and attune pre-med students at Albert Einstein University to become Reiki Practitioners. Bringing this complementary modality to traditionally trained Western doctors represents the cutting edge of medicine, which is increasingly recognizing the benefits of using Eastern and Western techniques in what ever way best helps the patient. Three years ago she incorporated Reiki into her aromatherapy practice and created an essential oil blend infused with Reiki. She started her own business JAS Oils with Reiki Master Linda Walls-McCartha. Professionally, Carmen Lariño is a Licensed Practical Nurse, exercising her nursing abilities for the past 35 years. She has had many experiences in different aspects of nursing including ER, CCU and Medical/Surgical. Presently she is working for the Center of Comprehensive Health Practices, a substance abuse rehabilitation clinic. Carmen is also a Medical Reserve Corps. Volunteer. Carmen's life goals are to provide service to all in need through her nursing and Reiki abilities and to assist all in search of self healing. Her commitment is to the healing of body, mind, and spirit through community events, speaking engagements, and formal classes. Carmen shares the light that Reiki has brought to her life. Marla Mervis has been involved in the Living Light Reiki Community since 2001. She became a Reiki Master in September 2005. She now practices Reiki in Los Angeles, CA. She created the first West Coast Living Light Reiki circle and is teaching classes. She works as a Licensed Massage Therapist and Reiki Master on the staff at The Centre for Life, an Alternative Healing Center. Marla is also a professional actor. She has done many Independent films, Off-Broadway Theatre, TV and can be seen on the pilot “Saurian” for the Sci-fi Channel. She recently played a statue come to life on the Soap Opera "Passions". She uses Reiki in many aspects of her acting technique. Marla currently hosts a Holistic Healing talk show called "Pathways to Health". Peter Polakiewicz became involved in Reiki in October of 1998. He is currently the Administrator of the Living Light Clinic at Southhampton Hospital. In addition, he shares hosting duties with other Reiki Masters at our regular Community Circles in Riverhead. He has been an active teacher and was ordained as a Center of Living Light Interfaith Minister in 2002. Peter recently began teaching his very first Reiki Master Candidate program and will have elevated a new Reiki Master by Fall of 2006. Pete completed Reiki I (first degree class) in April of 1999, followed by Reiki II (second degree) and Advanced Practitioner. He completed the year-long Living Light Reiki Master program in October 2001, and accepted the position as the Living Light Reiki Clinic Administrator that same month. As a Vietnam Veteran, he had been challenged with Post Traumatic Stress Disorder for nearly 26 years. Following the crash of Flight 800 in July of 1996, he sought help at the Veterans Administration. Through their guidance, he went to a self-help group that encourages meditation and to have an open mind. After achieving success through this program, he began attending the Living Light Reiki Community Circles in Westhampton Beach, Long Island. 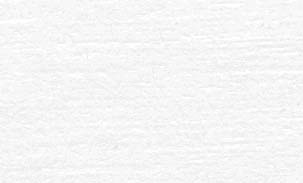 Professionally, Peter is a Mechanical Engineer who specialized in sheet metal. He has been in the field for more than 31 years and is currently Shop Foreman for Shore Mechanical in East Moriches. He has first-hand experience what Reiki can do, and has expressed undergoing a profound personal transformation. He is a dedicated Reiki Practitioner, eager to share the healing effects of Reiki through the programs and activities of the Center of Living Light. Linda Walls-McCartha was born and raised in New York City and was destined to work in the healing profession. She was born the fifth of nine children and was known as the “Different” one. She was a high achiever who assumed the role of care-giver in her family. By sixteen, Linda knew she wanted to be a nurse. Embarking on this career path she earned an Associates in Nursing and a Bachelors in Health Administration. She has chosen to continue this path by working in the area of Mental Health, Substance Abuse, and HIV/AIDS. In 1998, Reiki entered her Life in the form of Reiki Master Carmen Lariño. As first colleagues and then friends, they supported each others personal growth and challenges. In 2002, Linda faced a personal challenge – the illness of her baby sister Pat. Seeing little improvement in her condition, they turned to Carmen to help them find another path. Carmen attuned them together to Reiki 1 practitioners in April 2002. With the help of the Reiki community, Pat’s health improved. Seeing this, Linda knew that the Universe was telling her that Reiki was the right path for her. 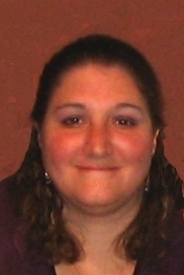 Linda completed all of her training and was elevated to Reiki Master in September 2004. Integrating Reiki into her life was like finding a lost glove. She had an additional tool to assist her in her journey. While continuing her journey, she and Reiki Sister Carmen created a unique Reiki infused essential oil called JAS. She lives in Brooklyn with her husband and two teen age nephews. Recently, Lynda was asked to bring Reiki into her professional environment and began hosting circles at Ryan/Nena Community Health Center. The focus of these circles is harm reduction and she had had a good response from the clients with increasingly larger circles each week. Linda has worked tirelessly to teach fellow nursing professionals about the benefit of Reiki to their patents and themselves. She is an active member of the NYC community and you will often find her guest hosting or attending community outreach programs. Dr. Robin Lechner, Founder is a Traditional Reiki Master, naturopathic Physician, Interfaith minister and recognized Metaphysician. Author and creator of Living Whole and Living Light and the Rainbow Bridge, she skillfully synthesizes and blends philosophies and methodologies to bridge Eastern and Western traditions. Since 1985, Robin has been at the forefront of mind/body health, pioneering the complementary healing arts and sciences into the awareness of mainstream America. For almost 20 years, her work has been dedicated to research and education in the arts and sciences of natural health, providing self-help methods to prevent illness and promote overall health and well being. Robin is the founder of the Center of Living Light, Inc., a nonprofit interdisciplinary institute based upon the practices and principles of Reiki. Since 1993, the Center of Living Light has been serving New York City, Long Island and New Jersey communities through Community Outreach Programs and Initiatives. As a teaching Reiki Master, Robin has elevated more than 50 Reiki Masters and attuned hundreds of Reiki Practitioners who are practicing across the globe. As creator and Director of the International Reiki Network, Robin has forged a relationship with the United Nations as a non-government organization dedicated to addressing international needs of peace and human rights through mind/body/spirit education and guidance. She recently stepped down as Executive Director, handing over the reigns to the next generation.